Tobolandia is a water based theme park in Mexico. 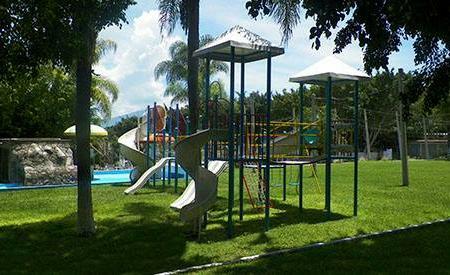 The park is quite large and has water rides that are appropriate for all ages. There are two swimming pools in the park that are clean and well-maintained. The mushroom shaped water fountain along with the pirate ship is an absolute favorite amongst kids. The park is well guarded by lifeguards who are on constant vigilance and supervise the safety of the place. A perfect place to unwind yourself, visit this place on a fun weekend. Use Ajijic trip planner to visit Tobolandia and many others to your visit. You can enjoy a comfortable stay in the city by booking the best hotels in Ajijic like El Chante Spa Hotel, Hotel Villa San Francisco (mÃÃƒÂ©xico), Hotel Danza Del Sol and Hotel Casa Blanca. If you want to add the visit to Tobolandia in your trip, you can choose from the variety of Ajijic vacation packages that can be designed to suit your preferences. These packages also cover your major concern of how to reach Ajijic. Love this? Explore the entire list of places to visit in Ajijic before you plan your trip. Fancy a good night's sleep after a tiring day? Check out where to stay in Ajijic and book an accommodation of your choice. People normally club together Chula Vista Country Club and Ajijic while planning their visit to Tobolandia.